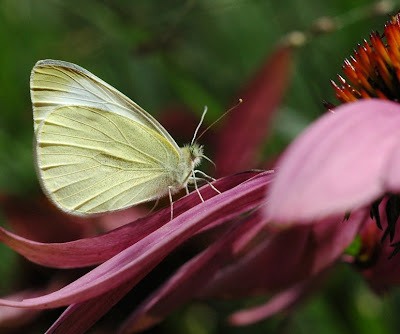 Today I feature two white butterflies. They are not the same kind but I don't know the exact name for them. 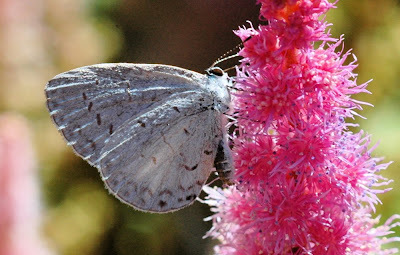 If you are a butterfly expert, I'd love to know. Thanks for visiting and viewing my photos. Do you know what kind of butterflies these are? I'd love to hear from you or any other comments you may have. The photo of that first butterfly is exquisite! I agree with Kelly. That first photo is awesome as the detail in your butterfly is so sharp. Nice capture! Earthtoholly - thanks. That is one of my favorites. That butterfly was so patient with my while I took the photos too. That always helps.